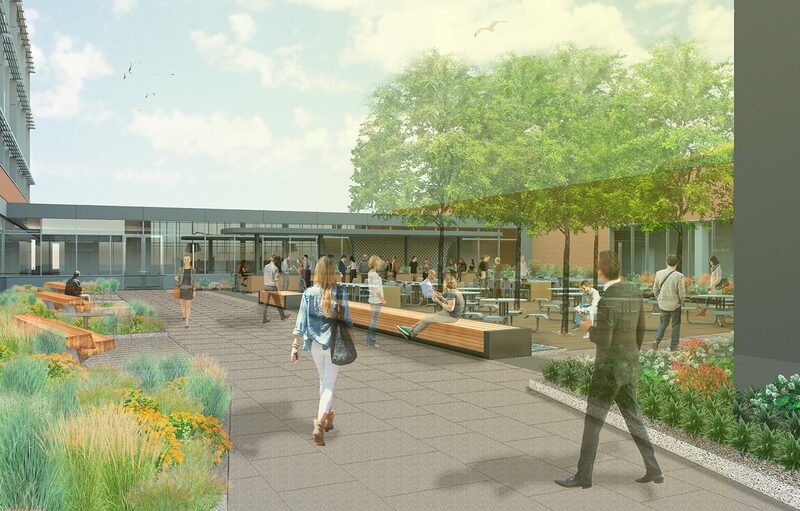 CRJA-IBI Group is working with the project architects to redevelop and transform MathWorks’ newly acquired Lakeside Campus in Natick, MA. 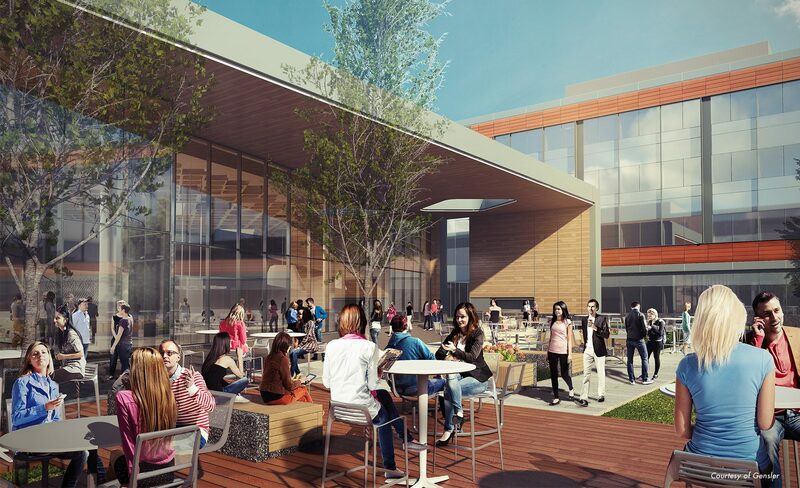 MathWorks, a leading developer of mathematical computing software, recently acquired the new Lakeside Campus (formerly Boston Scientific) in Natick MA. 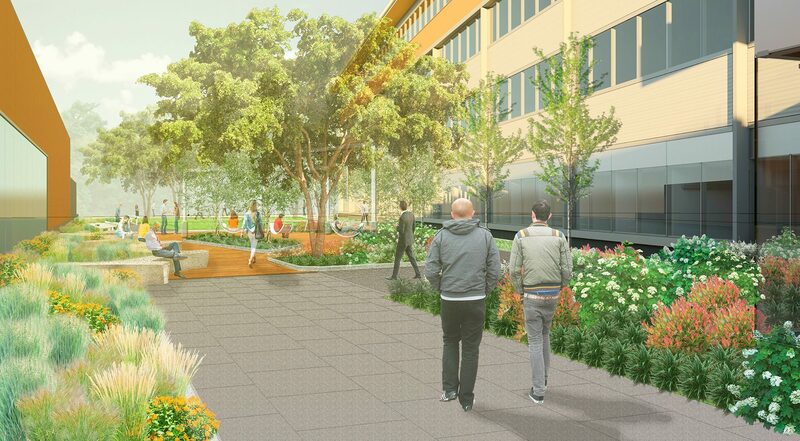 The project involves the removal of all existing buildings and, working with the previously permitted parking structure, the development of a completely new campus that is comprised of two new office buildings, an amenities building and fitness center. CRJA-IBI Group is currently collaborating with the project architects on the design of the site and open spaces that will define the campus. 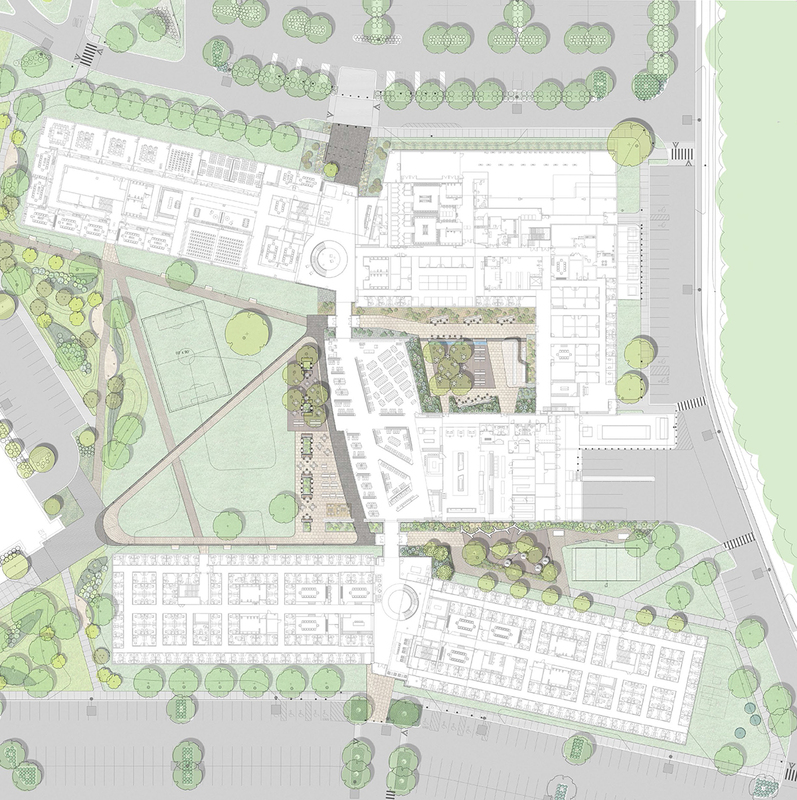 This includes the ongoing overall conceptual site design for circulation systems, parking, new courtyards, a campus quad, and spaces for dining and group gatherings. Where possible, specimen trees on site will be preserved.